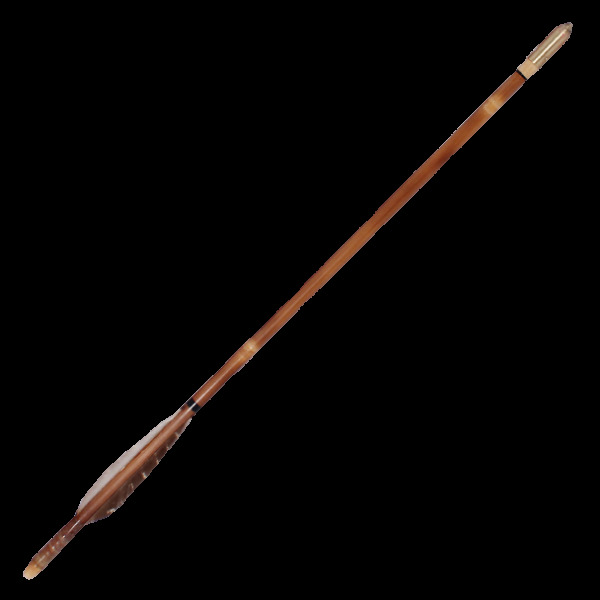 - Tong-ah Length : 33"
- Material : bamboo, steel, flue, sirloin sinew, isinglass, peach peel, bush clover etc. 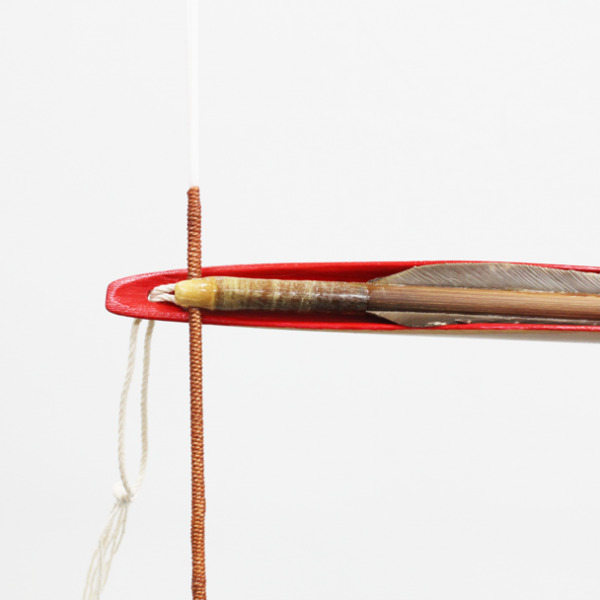 It is a shooting tube with cradle and is made of oak wood and bamboo. At the back, there is a ring attached so that you can fit your fingers into it. The lowest part of the cradle is decorated with bamboo and painted red and green with gold ornaments. 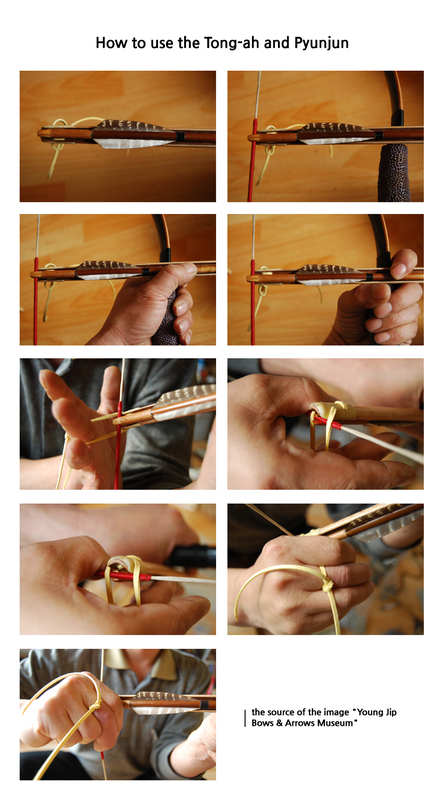 The 'Akisal' is a short arrow shooting into a basket 'Tong-ah'. The available range of this small arrow is far. It is not easy to keep away from it and it cannot be used for re-shooting. 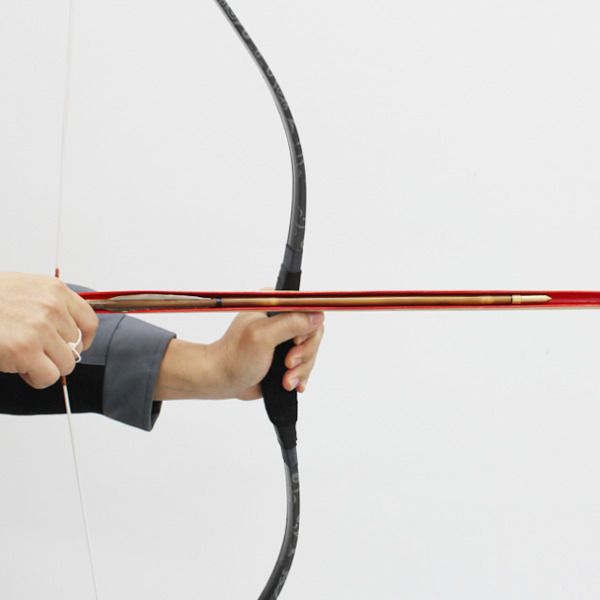 The production method and shooting method of this arrow was a secret all through the Chosun Dynasty era.